Lance started his career in technical roles at Oracle supporting enterprise relational database deployments. Since then, Lance has worked at industry leaders like Siebel Systems and Business Objects, as well as successful startups including Onlink (acquired by Siebel Systems), Pentaho (acquired by Hitachi Data Systems), Aria Systems and Capriza. Lance’s first experience with alternative database platforms was at Arbor Software, the pioneer of the multi-dimensional database / OLAP market. 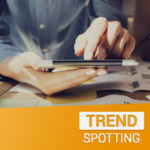 Ben: Welcome to The Trend Spotting Podcast by Searchmetrics. In this podcast, we dive deep into the ways that innovative marketers use their expertise and data to identify the macro trends that influence where you should be investing your marketing budget. This podcast is brought to you by Searchmetrics. At our core, the Searchmetrics team is a collection of SEOs, content marketers and data scientists who helps sophisticated organizations leverage search data to improve their organic traffic volume, maximize the visibility of their content, and gain insights into their business competition and their industries performance. Ben: Today, we’re going to hear from a marketer with two plus decades of leadership experience with data-centric enterprise companies. Lance Walter is the chief marketing officer at Neo4J, a connected data platform, that helps organizations make sense of their data by revealing how people, processes and digital systems are interrelated. 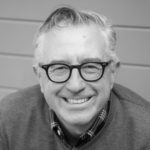 Ben: After graduating from the University of California with a computer science degree, Lance has focused his passion for technology into a career that has led him into marketing leadership roles for enterprise B to B companies, including Oracle, SAP, and Host Analytics. We’re excited to discuss his views on the data and technology shaping today’s marketing landscape in the enterprise space. Here’s our interview with Lance Walter from Neo4J. Ben: Lance, welcome to The Trend Spotting Podcast. Lance: Hi Ben. Yeah, it’s great to be here. Thanks for the opportunity. Ben: It’s a pleasure and wonderful to talk to someone with as much deep experience as you have in both technology and marketing. So I’m excited to talk. Ben: So let’s start off … I know I mentioned a little bit of your background, but can you walk us through some of your experiences and what led you into your current role? Lance: Yeah, well I think … You mentioned I came out of college with a technical degree, and I did not appreciate, at the time now close to 25 years ago, how fortunate I was that my first job was actually at Oracle as a customer support engineer. So, helping people troubleshoot problems with relational databases. It gave me a great foundation in relational technology, which has grown and flourished tremendously since then, and it showed me, at an early point in my career, how a world class company operates at large scale. Lance: So, I was in technical roles for about the first four years of my career, and I found myself … I was at a startup called Arbor Software, a pioneer in the OLAP space in the mid 90s and I … In a smaller company, I could see what marketing was doing, and I was looking at what product marketing was doing specifically, and they were launching new products and demoing stuff on the main stage at the user conference and talking to analysts and getting in front of customers and prospects and training salespeople and just all of these things that looked so glamorous to me. And I basically thought, “Hey, that would be a great job for me.” And thankfully got the opportunity and really worked my way up through product marketing to running all the product marketing for business objects when the company crossed the billion dollar mark in the early 2000s, and since then, I’ve been a CMO at Startups. Ben: So, you mentioned that your expertise was in the OLAP space and relational technology. Can you give us a little bit more insight into what you mean by that? Lance: Sure. Well, so we know that relational databases are used to keep track of … Your checking account balance is almost certainly stored somewhere in a relational database. They’re extremely mainstream platforms. Where OLAP came from, online analytical processing, where it came from, and it really and it really maps a lot to what Neo4J is trying to do today, is that the OLAP space got created because for business users who wanted really high performance, like real time conversational click, click, click, rip through all their data in what we think of as a dimensional way. They’re also called multidimensional databases, but it’s product sales by channel, by time period, by region, etc. etc. We basically just had to educate the market that hey, for that particular class of problem, there is a superior database architecture, and we’d like the opportunity to prove it to you, and we find the same thing fast forward to Neo4J. Same thing. We have a different database architecture. It is optimized for a certain class of problem, and we’d love the opportunity to show you how we can do it for you. Ben: So, tell me a little bit more about what Neo4J does. I understand these sort of relationship between the different types of databases you have and being able to process information quickly. What is Neo4J’s specialty? What’s your core competency there? Lance: Our core competency is really analyzing and understanding connected data. And the way we do that is by providing a graph database, and it’s a graph database that understands how connections work. So, the way you create your application, the way the data is actually stored on disk, the way you query the data is all done through that lens of help me see what can be revealed by these connections. And that’s been the company’s investment for more than 10 years now. So we really, really invested a lot in trying to solve that particular problem. Lance: In terms of how people use it, we have big banks using it to … The interesting thing is that connected data is kind of everywhere. The most accessible example for most people is social media. When you think about who you’re connected to on Facebook or who you follow on Twitter and these kinds of things. But in terms of corporate applications, we see banks using it to fight fraud. We power recommendation engines for leading online retailers like eBay, and Walmart.com. And we see, because we’re an open source company, we also reach into a lot of noncommercial opportunities. So we see people fighting diseases using connected data to analyze gene sequences. We see NASA using it to improve operations in this space program. It’s just amazing. I’ve been with the company for about seven months, and it’s amazing to see the many different ways this kind of technology can be applied to connected data problems. Ben: It’s a very sophisticated technology, and you’re the chief marketing officer, so tell me a little bit about how you define the role of a CMO when you’re working in a company that is so technologically forward. Lance: Yeah, well, I think a lot of the fundamentals are the same. I work for a great boss, Dave Kellogg, who was my CMO back at Business Objects and hired me when he took the CEO job at Host Analytics, and he defined it. He said, “Never forget that marketing’s job is to make sales easier.” And I liked that because it was so simple and straightforward. Lance: It’s important for a few reasons. One, first of all, it acknowledges that selling in the enterprise is hard. I’ve worked with great sales leaders who say, “Enterprise software has never bought. It’s always sold.” Somebody’s got to sell it, and that’s a hard job, and that’s why people get paid really well to do it. So marketing’s job is to make sales easier, and I love that as an umbrella approach where it’s everything from, what makes sales easy? Well, more awareness makes sales users, more opportunities make sales easier, better competitive intelligence makes sales easier, customer examples, product differentiation, just about anything and everything that you could roll up across the different marketing functions, if you’re doing it the right way, should be pointed at the problem of making it as easy as possible for your salespeople. Ben: So, I want to talk about Neo4J’s marketing challenges and who you’re focusing on, but I think that we need a little bit more context in the sense of who are your products, the type of business model, and then who are you targeting? Tell us a little bit about how you think about your segmentation, who you’re going after and what your product mix looks like. Lance: Yeah. So our mix is heavily biased towards the enterprise. So a little more than 80 percent of our business these days comes from enterprise. And we define that as companies, a billion dollars and up. That said, we do have customers in the mid-market as well, but most of them in terms of where we invest our dollars from a marketing perspective, it’s heavily biased towards generating awareness and opportunities at the enterprise level? Ben: So your big game hunting. Is there segmentation outside of just focusing on enterprise companies? Are there specific industries that you’re interested in? You mentioned banking, social media? Lance: Yes, absolutely. So it’s great that graphs can solve so many different connected data problems. On the other hand, you can appreciate as a marketer that just going into the market and saying, “Hey, I have this wonderful invention that will help you understand connected data.” Not everybody’s going to get that. So, we’ve looked at where the highest value use cases and where the most customer success is in terms of industries, for example. So, our top industries, financial services, retail, telecommunications as well, manufacturing coming on strong more recently. Lance: So then, what we do is we go to telecommunications companies and focus on how their problems of subscriber loyalty or network management or those kinds of things can be solved with a graph database platform. Ben: Okay. So tell me about some of the marketing challenges you face. Is this an industry with lots of competition? Are you one of many or are you the only provider, one of few, and you’re trying to validate the market? Lance: Yeah, great question. The nature of our marketing challenge and our competitive landscape is changing dramatically. So, Neo4J did pioneer the graph database space, and when I was interviewing with our CEO Emil Eifrem, he said, “Look Lance, to understand our challenge five, six years ago, I could get on the main stage at any data management conference and give a Graph 1A talk. Everybody wanted, okay, what’s this new graph thing? Let me find out what it’s all about.” He said, now data management professionals are much more educated on graphs, so there’s not as much appeal in the basics, but there’s still a hunger for, okay, what are the ways that graphs can be applied? How the graphs evolve? What are things that sit around the graph and add more value to the user. Lance: But I guess, back to your question about the nature of our marketing challenge, it has been category evangelization and technology proof points, meaning showing that for some of our customers’ queries across connected data are literally 2,000 times faster in the graph database than they were in the prior relational platform, and if you’re talking about real time use cases like eCommerce recommendations, that makes a big difference. Lance: There have been specialists in this space for the last few years. I think the biggest news, and we think it’s very good news, is that just within the last 12 months, this has gone mainstream to the point that big players are taking a lot more seriously. So, Amazon introduced a graph database called Neptune. Oracle has made investments in graph technology, and we expect them to continue to do that. Microsoft is pushing Cosmos DB which is a multimodal database, but also it has some support for graph use cases. And then there are also specialists who are coming at graph from various different ways. But the net-net is the market is going mainstream rapidly. It’s being validated by the big players in the space, and now our challenge is maintain our lead and prove our differentiation versus hope that someone in the world will listen to the notion that there’s value in a graph database. Thankfully Amazon and Oracle and others and Microsoft are helping us prove that point. Ben: That’s a really interesting position to be in where you’ve invested in validating the market, and now that you’ve gained some traction, you’re getting pressure from above as opposed to pressure from below which, to me, isn’t something that seems like a very typical scenario. You must have been successful in validating the market to get the attention of the Amazon, Microsoft, Oracles of the world, the true enterprise Goliaths. Lance: Yeah. I would say we feel really good about that. I’ve been with the company for seven months, so I can’t take credit, but I really respect what the team has done to create a category and do something that would really get on the radar and drive product development at companies like Amazon, Oracle, and Microsoft. Ben: I’m sure that you had something to do with it. I’m sure the rest of the team is solid as well. Let’s talk a little bit about some of the data and some of the trends that you’re seeing. You’ve been primarily focused on awareness and sounds like supporting your sales teams as well. What are some of the trends that you’re seeing that impact what your marketing focus has been? Lance: When we talk about connected data and we think about graph databases, there are actually a lot of broader industry trends that are pulling a lot of consumption of graph technology. So, that’s things like internet of things. That’s things like telecommunications networks. That’s recognizing the fact that all of us carry a super computer in our pocket that is connected to multiple different systems and services 24 by 7, so a lot of those kinds of industry trends are driving graph. Lance: And then the other piece I would say an ongoing trend where, from my first days at Oracle, large enterprises, it’s a competitive market, and they’re always trying to get more and more value from their data, and if they find a new way and a new approach that gives them insights that they couldn’t previously get or that were too hard to get, then you’ve got a real business opportunity. Ben: So, you’re in an interesting space. And as I mentioned before, you’re getting pressure from above. I’d love to hear a little bit about some of the data and trends that you look at that you think made the market interesting enough for the Amazons or Oracles of the world to start competing and pay attention. What’s the trends and signals that your market is growing, and what drove the interest from the giants in the tech industry? Lance: Yeah. Well, in terms of our data points, we can see things. Our business model is what is called an open core model. So, it’s a commercial open source model where we offer some technology freely available for download from the website, and we sell an enterprise edition that’s better suited to mission critical production, enterprise-grade applications. Lance: And in terms of our data points, we can seem, you know, 20 million downloads are pretty hard to ignore, and we don’t think Amazon or Oracle or anybody else ignored those. We’ve invested a lot in trying to promote customer success. Lance: The other is that the analyst community is definitely … They’re hearing from their own readership that connected data is a challenge and that graph is a big deal, so you see Gardner, Forester, Red Monk, others writing more about graph technology over the last 12 to 18 months than they had previously, and I think that with companies like Amazon, Oracle, Microsoft, and small companies who feel like, hey, maybe we can get into the graph market if we focus on a specific approach or a specific use case. Ben: Okay. So, tell me a little bit about the marketing strategies that you’ve been applying to reach your customers, now that the space is getting more impacted. Lance: We can market in a few different ways in that if you look at a prospect within an enterprise, we could approach them as an HR leader, if that’s their function. We could approach them based on their use case. You want a knowledge graph to understand the skills and capabilities and where they really exist across your organization, or we can approach them from an industry perspective and say, as a manufacturing company, you’re facing these challenges. We have tested and repeatedly proven that the industry level message is the one that works the best when we really hone in on what our customers competitive environment is, what their specific data challenges are in their domain, and then how we address that for similar companies. Ben: And what data sources are you using to do your competitive intelligence for the various industries that you’re targeting? Lance: Well, we honestly, at a startup, a lot of times your best market research is just spending a lot of time talking to your salespeople and your sales development team. I have SDRs on the phones who are touching sometimes 50 different prospects a day that span the spectrum from very well educated and enthusiastic about graph databases to completely unaware, and so I try to check in with them very regularly to see, hey, what are you hearing? What has changed? What objections do you get? What questions? What makes the light bulb go on? Lance: We think about this concept of a graph epiphany when somebody goes, “Oh, okay, now I get it. I should use the graph for these, these and these kinds of problems.” And we’re just always looking to get the best, the shortest path possible to make that graph epiphany happened. Ben: So, it sounds like the ear to the ground database is a valuable asset to you. Lance: Absolutely it is. And we look at analyst reports as well for sure. We have some great partners. Some of them are small boutiques that focus in certain industries that give us insight. Some of them are big, like Ernst and Young who we work really closely with as a great source for what’s on the minds of enterprise buyers and how are they approaching these connected data problems. Ben: Okay. I’ve noticed that driving back from Searchmetrics headquarters into San Francisco, that there’s a Neo4J billboard, very non tech centric, very awareness driven. Tell me about the rationale behind going for large print and out of home billboards. Lance: Yeah. I’m so glad you asked, Ben, because I will tell you that it is the first billboard project that I’ve done as a marketing leader. Thankfully throughout my career, I’ve had the opportunity to work with and for some very, very capable marketing professionals, and one of the lessons that stuck with me was the notion of situational marketing, that the most effective marketing program starts from an understanding of where is our company and what are our challenges and how do we move the levers of marketing to address those challenges because it varies. So, you can’t carry the same playbook from company to company or market to market and expect to be successful. Lance: So, on the billboard front specifically, I’ve generally looked at those. I think you see a fair amount of Silicon Valley vanity. It feels good to see yourself up there if you’re doing well. You’ve seen people do billboards where they’ll buy the spot next to Oracle and poke fun at Oracle because they’ve got some kind of a better or different database. Lance: In our case, we feel like we have this incredible raving fan base globally and millions and millions of downloads, but we’re not as well known in the Bay Area as we should be, and a big part of that is that we came out of Sweden, and our investors are all European. So, we don’t have a household name, Tier One VC Silicon Valley VC involved that are the normal things that help create that halo effect for startups in the valley. We thought the billboard because business is going great was a great chance to say, “Hey, we’ve arrived. Graph has arrived, and you’re going to be hearing more about this as we go.” So, that’s what drove the billboard project specifically based on what we’re trying to do at Neo4J. Ben: There’s an interesting component about what you said, which is not only that the nature of how the company started meant that you had to sort of build more awareness and presence in the center of technology, which is the Bay Area, there’s also an interesting component of your brand name, Neo4J. Can you tell me a little bit about where the Neo4J name came from? Ben: Understood. Very, very technical in its upbringing and its foundation. Ben: I want to turn the conversation a little bit to more general marketing trends. You’ve been a CMO at a few different startups. You’ve been focused on enterprise and B to B companies throughout your career. What are the trends that you’ve observed that have been developing over the last few years that you think impact most B to B enterprise marketers? Lance: Well, trends that are impacting, B to B enterprise marketers, I would say people have been reading the account based marketing bill very loudly in Silicon Valley for some time, and I think it’s very real. I think there is … Our data would suggest that our buyers are increasingly more and more sophisticated. They have access to more and more information, and they expect a much more personalized, tailored interaction, whether that’s just when they land on their website, or the email campaigns that they get from you, or the way that your sales development team reaches out. Lance: So, I would say probably the biggest one is the emergence of account based marketing, and then beyond that, marketing has continued to improve in terms of analytical value. So, it used to be … It’s where marketing … The pendulum in marketing has sort of swung from art to science, meaning it’s more like flying the space shuttle. You’ve got all this instrumentation, all of this data about what’s happening, what’s working, what’s not, and you need to make the right decisions from it as opposed to being data core and just having to come up with some brilliant campaign idea that might capture the world’s attention. Ben: More knowledgeable, less creative and cute. Lance: Yeah, I mean creative and cute certainly still has its place, but when you can really see, hey, when we spend a dollar on events, it brings back this many dollars in pipeline. We spend a dollar on pay per click that brings back this many dollars in pipeline. When you really have that visibility and you can see … You can tie it all the way through to what deals closed, which customers expand, who renews, et cetera. You’ve got a pretty good data picture to understand how to optimize the marketing mix. Ben: So, you’ve transitioned from being in the largest companies in the B to B enterprise space to working in startups. Having been on both sides of the fence, do you feel like you’ve seen a trend of consolidation where the bigger players have more power, or do you feel like the startups, like the one that you’re working for have a better chance to gain a foothold in the enterprise space? Lance: Great question! I think there are a lot of good proof points on this one that there continues to be a strong opportunity for startups to come at the market with an innovative and different approach and a focus on a certain kind of problem area. Lance: When I left Oracle in the mid 90s, I kind of thought, okay, well relational databases are the thing and that’s when I got exposed to multidimensional databases, and as much as the big players have always either acquired, kind of like you mentioned, consolidation. They’ve either acquired companies right, Oracle now owns that technology from Arbor software that I used to use, but you fast forward now into the 2000s, and as much as Oracle and IBM and others have made great investments in expanding the capabilities of their core database platforms, you’ve seen the Hadoop space take off, you’ve seen Mongo DB take off. You just see all of these different approaches to data management that are getting traction because they solve certain high value problems in a better way than the alternatives, and so we’re, in some ways, standing on the shoulders of giants who have proven this more recently, and we Just need to prove it out for our use case and our particular technology fit. Ben: Going back to our conversation about building a brand presence in the Valley and the purpose for you having billboards and then also talking about the power of sort of the tech Goliath, there’s an interesting strategy here where people have basically used both of those together to position themselves as competitors to larger players either to build brand recognition or also to get on the radar of potential acquirers. Ben: I just would love to hear your thoughts on putting the billboard in front of Oracle, hoping that they become an acquirer. Is that something that you’ve seen? Is that something you’ve seen be successful? Lance: Yeah. Honestly, Ben, in all of our internal discussions around the billboard because it was … The company’s never done it. I personally had never done it. It’s not cheap to do. There was a lot of discussion around it. The notion of will this help set us up for an acquisition or catch the attention of someone who would buy us was never in the conversation. So, I hear your point, but I think it is done in a general sense and could probably make sense in certain cases, but that was absolutely not our goal. It was just to let people know that graph has arrived. Neo4J has arrived. Ben: I understand that it might not be your goal. Driving down 101, for those of you who are not familiar with the Bay Area, the central freeway that goes through Silicon Valley, and Oracle is sort of on an island almost on its own when you drive by. Other companies put billboards out there that are competitive with Oracle, and a handful of them have been then acquired by Oracle. Ben: I’m not specifically saying that that’s Neo4J’s space, but I think it’s an interesting strategy to get attention, and it’s not necessarily a marketing strategy in terms of customer acquisition, but a marketing strategy in terms of positioning your company. Lance: Yes, absolutely agree with everything you said. Ben: So, you mentioned account-based marketing as a key trend that’s been growing. Tell me a little bit more about what you think the timeline for that is. Has account-based marketing hit its maturity and what are some of the strategies that great marketers are using to maximize account-based marketing as a strategy? Lance: Well, I learned a long time ago that every time I thought a certain important technology had reached its maturity, there was still room to innovate. I sort of thought Oracle had kind of cracked the database code in the early days, and like I said, we’ve seen so much growth since then. In terms of where ABM goes from here, I think it gets more and more personalized, more and more analytics driven. You’re starting to see people who now have years of experience with ABM and refining strategies there, and you see some pretty interesting technologies that have come to bear to make account-based marketing really doable exercise for large companies and startups alike. Ben: Tell me a little bit more about the technologies and the services that you’ve seen being successful. What’s the stack look like to be effective in account-based marketing? Lance: Yeah, well I think the stack is … Certainly a core foundation would be a good CRM system and a good marketing automation system. That’s table stakes, must have. From there, then I think you add technologies for … That could be anything from predictive leads sourcing to a dynamic web personalization, certainly lead enrichment, matching and routing. Lance: One of our issues at Neo4J is we have half a million unique visitors coming to our website on a quarterly basis. It’s a lot of traffic. We are doing dynamic web personalization with Uber Flip just so that whether someone is fairly familiar with us or even if they’re relatively new, if we can figure out, based on certain parameters, what industry they’re likely to be from, then we can immediately start to personalize the content on the website to make sure that it’s as relevant as possible to them. Lance: The other pieces then … We have so much website activity. A lot of it, again, is driven by the notion of the open source model, and so we have a big challenge of really lead enrichment and matching and routing. We can’t have 17 field forms on our website where we capture everything we’d like to know about a prospect. We have to keep that pretty simple and pretty light and not just enrich the data so that we have industry or revenue or employee count or other things that are critical for market segmentation, but also to make sure that we understand that this person from B or A works for the same company that this person from Bank of America works for. Lance: So, we made a lot of investment there to try and bring all these different data points of downloads, and eBook, and a webinar registrations, and even event attendance to really understand that. Ben: Interesting. So what are some of the assumptions that you’re basing your marketing efforts on? I know we’ve talked a lot about the data driving, and you said that you’re constantly staying in touch with your sales staff to understand what the market is saying. What are some of the built in assumptions for your business that you were hoping to validate? Lance: I would say built in assumptions for our business, I think we assume that at least every enterprise has multiple high value connected data problems. They just don’t know it yet. It’s back to that graph epiphany. So, certainly one assumption is that we can help just about anybody who is at scale as a business, but we have to help turn the light bulb on and help them understand exactly where we fit relative to the other technologies that they’ve used more historically. Ben: Let me recap just to make sure that I understand what you’re saying. Essentially the built in assumption for you is that enterprise level businesses have complex data sets that need to be related to each other, and that’s where the graph database comes in. Is that fair? Lance: That is absolutely fair. Ben: Okay, great. Now tell me a little bit, turning the page slightly, who are the people that you’re trying to meet? Are there specific markets, segments that you’re trying to get ahold of or even places where you’re trying to hire? What’s your focus for networking? Lance: Yeah. A few comments in there. So, in the … I mentioned the industries that look like the high priorities for us. The other is just in terms of who the people inside the organizations are that we want to talk to. The simple fact that we are an open source company with a popular open source offering means we get a lot of bottoms up adoption directly through that frontline developer community. People who are struggling to solve a given problem, and they’re googling around, and they’re surfing the web, trying to find, okay, what are other technologies that I could easily try out and apply to this problem and see if they’re going solve it for us. We also target really mid and senior level IT, helping them have their graph epiphany and helping them see the potential and value associated with use cases in similar industries and such so that they can be a sponsor. Lance: We love talking to business people for sure, the people who tend to write checks and are very, very close to the specific business problem that they’re wrestling with and the value that would be associated with solving it, but we, in almost all cases, find our path to that conversation through senior IT people who ended up going, “I think there’s potential here. This sounds like something that could address the challenges that Susan, from customer success, has been asking about. Let’s bring Susan into the conversation.” And that’s when we see great customer success and great deals. Ben: That’s really interesting. So essentially, even though you’re an enterprise level solution, you’re, on some level of marketing, from a bottoms up developer community perspective. So, you really are trying to approach these large companies, but on some level you are focusing on the individual contributors who are trying to solve discrete business problems. Lance: That is correct, yes. A lot of it is focused on that frontline of application developers, and then yes, the mid and senior level IT people. Lance: In terms of other ways that we can expand our reach to the marketplace, that’s where we really lean on our partner network. So, I mentioned Ernst & Young. The other one that’s really timely is that we just launched last month as one of the Version 1.0 partners for Google’s cloud platform, Coobernetti’s Marketplace, and we know how much reach Google has to the developer community and into IT, and so it’s a phenomenal opportunity for us to show up in a place where people might not otherwise have seen us, maybe not familiar with graph. So that’s a great opportunity for us. Lance: And in terms of hiring, we’re just about hallways hiring, and it’s across all departments where we see …. As the market opportunity expands, obviously you need more marketing resource, you need more sales, but we also get into really sophisticated organizations where we need really, really talented professional services people who can deeply understand the nature of the problem that’s trying to be solved and outline the most elegant way to address that issue with a graph database technology. Ben: So, just a recap. Neo4J is a graph database, which helps companies connect their data to improve the speed and capability of their processing. Ben: You mentioned in terms of trends that are impacting the market, that ABM and the increased power of analytics and availability of analytics, and in terms of the people that you’re trying to meet, you focus on reaching the developer community. Obviously, the business people that are writing the checks are important too, but the developer community and anyone that is interested in joining the team in terms of building out customer success seems to be a priority as well. Ben: Okay. Lance, I really appreciate you joining The Trend Spotting Podcast. 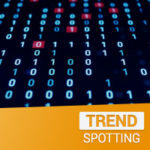 It’s been a pleasure to learn about graph databases and Neo4J, and that wraps up this episode of The Trend Spotting Podcast. Ben: Thanks to Lance Walters, the CMO of Neo4J for joining us. If you’d like to learn more about Neo4J, you can click the link in our show notes or visit Neo4J.com. 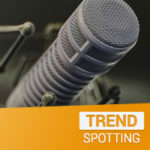 Ben: If you’re interested in spotting more marketing trends or in Searchmetrics, the creator of The Trend Spotting Podcasts, you can click the link in our show notes to see our podcast content archive, or you can go to searchmetrics.com. 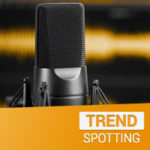 Ben: If you have questions, or if you’d like to be a guest on The Trend Spotting Podcast, feel free to fill out the contact us form on the searchmetrics.com site, and if you’ve enjoyed this podcast and are feeling generous, we’d love for you to leave us a review in the iTunes store. Ben: If you’d like a regular stream of data driven marketing insights in your podcast feed, click the subscribe button in your podcast app. Ben: Okay. That’s all for today, but until next time, remember, it’s a data driven world out there, and the team at Searchmetrics is here to point you in the right direction. Doug is the CMO of Searchmetrics Inc. and the Global VP of Marketing for Searchmetrics. A 20-year technology veteran, Doug has been instrumental in leading companies through critical milestones. Prior to joining Searchmetrics, Doug led the repositioning of Automation Anywhere, recently valued at $1.8B.